Category Archives for "Branding with LinkedIn"
LinkedIn Company Pages – Status Updates, Recommendations, and Followers, oh my! Today was a very exciting day in the land of LinkedIn. This morning was Connect 11; LinkedIn’s marketing conference during Advertising Week 8. The focus – brand engagement on LinkedIn. The big announcement – we can now make status updates from our Company Pages to communicate with our Followers. Over the last many months, LinkedIn has quietly been adding new and amazing functionality to the Company Pages that few people have noticed. And, until now, LinkedIn hasn’t been screaming from mountain tops to tell people. Well, I’ve been telling people about it, but all I’ve been getting back are questioning stares because people seem to have a hard time believing that LinkedIn Company Pages are good for anything but seeing who just got fired. Maybe now they’ll believe me! By now, you may be asking yourself what’s so special about these LinkedIn Company Pages. Let me tell you! First, you can list up to 25 products and services. Each product or service gets it’s own page with it’s own description, it’s own link and even it’s own YouTube video. Most importantly, your clients can RECOMMEND that specific product or service and share a testimonial about why others would want to buy it. Second, the recommendations don’t “live” only on LinkedIn. If you go to their Developers Tools (found in the footer), you can get html code to transport those recommendations back to your website. The recommendation button will tell your website visitors how many times that product or service has been recommended and will link them back to your Company Page to read the recommendations or even write one themselves. Of course, when they write the recommendation, a status update goes out into their network’s news feed telling everyone that they have recommended your product with a link to check it out themselves. Third, if you have more than five products or services on your LinkedIn Company Page and more than one target audience, you can customize which five products and services the different target audiences see first when they land on your Company Page. Also, you can have three linked graphical banners above those featured products and services and select which banner each target audience sees. But wait! There’s more! LinkedIn has even built in analytics to let you know how many people are visiting your page, if they’re engaging and how the activity on your Company Page stacks up to your competition. So, what’s the key to success with a LinkedIn Company Page? Followers! In an interview just before the start of Advertising Week 8, SVP of Global Sales Mike Gamson highly encouraged companies and brands to start gathering their Company Page followers now – while it’s cheap! Mr. Gamson predicted that we won’t see a Facebook phenomenon with every member following lots of different Company Pages. The average LinkedIn member is going to be more discriminating in who they choose to follow and will likely not follow very many Company Pages. So it will likely take a lot more effort and advertising dollars to get someone to switch from following your competitor to following you. So, what are you waiting for? 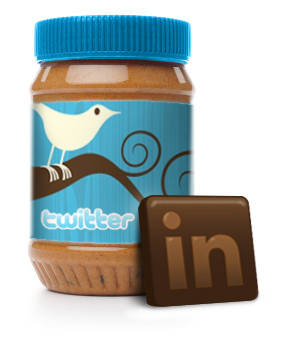 Get that LinkedIn Company Page completely optimized! Too busy? The LinkedIn Ninja can help out! Check out our LinkedIn Company Page building services. What creative ways can you think of to use the new Company Pages? My first big strategy is to begin offering a FREE LinkedIn Company Page or LinkedIn Personal Profile makeover to one Crystal Clear Buzz Company Page follower every month! The winner will be selected on the last day of the month. So, FOLLOW NOW for your chance to be selected! LinkedIn Groups can be the most valuable part of your LinkedIn strategy to grow your business, but a Groups strategy can be the most difficult to understand and implement. Add into that the fact that it also takes the most time and I hear a lot of groans and moans when I suggest it. However, a recent study from LeadFormix on traffic from LinkedIn to their B2B client websites found that 38% of the people coming to the site from a LinkedIn Group resulted in a completed form on their website! True, tangible leads are coming from LinkedIn Groups! LinkedIn currently has almost 1 million groups! And more are started every day. Some LinkedIn Groups are big and some are small. Some are super active and some are dead. Finding the right LinkedIn Groups for you and your business – let alone the right discussion opportunities within those groups – can be a very daunting task. To help, LinkedIn created the Daily and Weekly Group Activity Digests that land directly in your email inbox. But if you’re in 50 groups (the limit available in LinkedIn for free and premium members), getting those every day can be just as overwhelming. So having a clear strategy is crucial to your success in using LinkedIn Groups for sales and business development. First and foremost, the LinkedIn Groups that you select should be the groups where your target client is spending their time. Depending on how the group is set up and who is allowed to participate, you sometimes may not be able to get into all of the groups that would be most valuable. Most of the time, I see sales people in mostly industry related groups and they are wondering why they aren’t finding any new clients and customers. The answer is that they’re spending all of their LinkedIn “group time” with their competitors! A few of those are great for professional development, but I would recommend limiting the number to only those that actually helping you. Essentially, you have to evaluate each group that you join and decide how you’re going to use it. You have to be an Opportunist. I have 3 main purposes for the groups that I’m in. Market reach to prospects – What’s important is match to target market, size, and a low level of duplicate members in other groups. I’m using these groups mostly for hunting and if allowed, advertising. Establishing myself as an expert – Those are groups of my target market where there are good discussion happening and I can demonstrate that I really know what I say I do. Those are groups like Sales Playbook. I don’t have too many of these because they take a lot of time so I’m very selective. Groups for broadcasting/advertising – These are large groups that are a bit more general in their make up so that it may pull in some prospects in need of my services that I may not have thought about. They would be the large local groups and the like that address many different topics. You probably aren’t going to like this, but the bottom line is that you have to look at and evaluate each group individually to develop the strategies that will work within that group. Since the owners have free reign to decide who can be in their group, what they can post and how everything operates, you have to abide by their sandbox rules. In some groups blatant self promotion is fine and in others it’s not. The owner provides sales coaching services and training, so his target market is sales professionals and teams. So he built a group around discussing best sales practices. He set very strict criteria prohibiting any and all self promotion. Even if someone is asking for your services, you cannot reply or provide a link back to your site. If you do, these are immediately deleted. Despite these tight restrictions, this group has grown to over 20,000 members and is very active. This is a group where active participation and giving first is a requirement to get any benefit. The owner provides one outlet in the group and it is a running discussion called “Pimp My Company.” Although I get frustrated at how tight of a line he is keeping with not even allowing you to fit in a little promotion where it’s asked, makes sense and you’re still adding value, I recognized the value of that one discussion item. There are over 1,000 comments in that discussion. When you add your comment to a discussion item, an email message with your comment is sent to all who are still following that discussion item (which is likely most). So, I became active for a couple of weeks and built some relationships and visibility within the group. Then I timed how I used that discussion when I was launching something important instead of doing a basic introduction of myself. The result was 3 people buying the program that I “pimped” in that discussion. 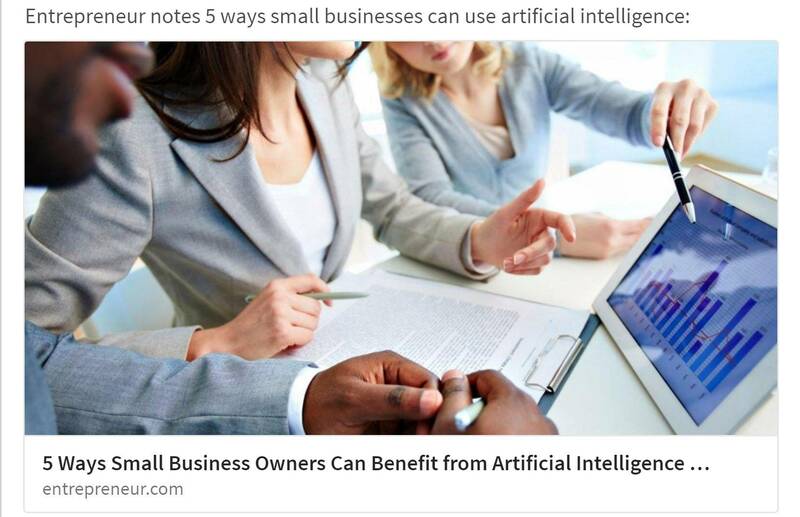 Now, the owner has sent out announcements to all 20,000+ members “selling” his free services and resources on his website – thereby promoting himself when he doesn’t let other members do so. He has effectively created a competitor-free fish barrel of prospects for his business. Bravo! That is what we should be aspiring to. Now, if you were able to watch the owner’s activity in other groups, you would see that he doesn’t live by his own group’s strict rules in other groups. He posts links to his blog without adding a discussion. He promotes himself in the groups where that is allowed. He gives links to other sales related freebies. To be honest, I was a little surprised when I first noticed it, but I have no problem with the double standard. There are some “true believers” who would find this different behavior practically sacrilege because they believe groups should be these sales free, equal societies. I think it’s brilliant and can only hope to aspire to such success. It’s brilliant because he has recognized – as should you – that each group is it’s own sovereign entity and that it’s foolish to essentially apply a socialistic theory to a group that is running based on pure capitalism (and that would be those spammy groups that everyone says they hate yet those groups remain some of the largest groups in LinkedIn). Bottom line is that there is no cookie cutter approach that you can take to truly get the most out of LinkedIn Groups. However, with a well developed, targeted strategy, dedicated time, and true engagement with the groups, you can benefit from participation and get new clients. 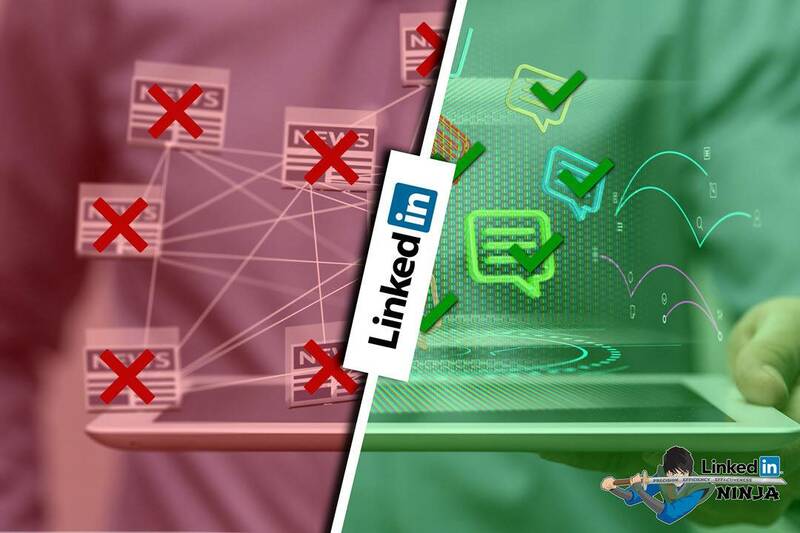 As of the writing of this post, I am conducting a LinkedIn Poll to get user feedback on what they see as the biggest challenges to using LinkedIn Groups. It has about 2 weeks left until it closes. If you haven’t answered it yet, I would love for you to participate. If the poll has closed, you can simply check out the results. CLICK HERE. There is also a lively discussion of the problems taking place in LinkedIn Answers: Click Here. Feel free to continue the discussion in the comments below. I would LOVE to hear about some LinkedIn Groups success stories! To join the LI Ninja Black Belt Group where I give out TONS of free LinkedIn advice, CLICK HERE! Does Your LinkedIn Profile Match Your Purpose for Using LinkedIn? One of the most common errors I see when reviewing LinkedIn profiles is when people fill out the profile as if it’s a history document without first considering what their purpose is for using LinkedIn. Now, don’t get me wrong, people are interested in learning about your experience because it gives your credibility. However, experience and history are two different things. When you treat your profile like a biography, the problem is that it’s not likely to compel people to action. Further, if it does, it’s not created to compel a specific type of action, such as contact you about a job opportunity or to do business. Essentially, I have found that most peoples’ purposes for being on LinkedIn can be boiled down to three main purposes: Business Development, Personal Branding, and Job Seeking. Business Development: The goal obviously is to find clients and customers on LinkedIn to grow your business. If this is your purpose, then your profile should be focused on what you do. It should identify the services or products you provide, who your target client is, and what results you get. Your summary is your elevator speech. Your past is only as important to the extent that it builds the case of why people would want to do business with you. Personal Branding: A personal branding profile is for people who are career oriented but not working in a sales capacity. This profile is about who you are. It should address your mission and values and identify your future career goals so that those opportunities can find you. Job Seeker: The job seeker profile is a combination of the business development and personal branding because it has to address both what you do and who you are. Recruiters want to get to know both sides of you as a candidate. With the third party applications, LinkedIn gives you an opportunity to show recruiters that you are much more than a resume. Ultimately, when people land on your profile, you want your purpose and message to be crystal clear. If you’re looking for a job, say you’re looking for a job. If you offer payroll services to small and mid-size businesses in the Greater Cincinnati area, then say that! The more fancy you get with your language and the more you leave up to interpretation, the less likely people are to understand what you want.